"Sharon, Lois & Bram are multi award winning recording artists, selling more than 3 million albums in their 36-year career. 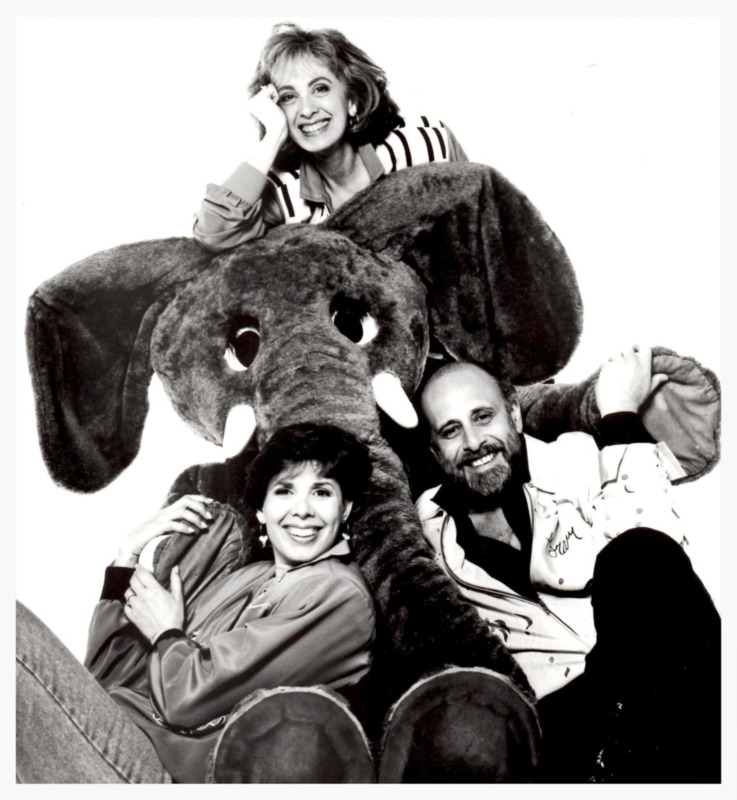 They have created and starred in various television specials and two popular television series: Sharon, Lois & Bram's Elephant Show, and their current hit series, Skinnamarink TV, now in its third season on The Learning Channel and on CBC in Canada. The Trio has produced 17 recordings, numerous compilations, three songbooks and a CD ROM. They have been invited to perform in every major Canadian concert hall, and many in the United States including The National Arts Center in Ottawa, Roy Thompson Hall, Carnegie Hall, Lincoln Center, the Kennedy Center, at New York's Palace Theater and the White House. Sharon, Lois & Bram's commitment to children does not end on the stage and on the screen: they have been Goodwill Ambassadors for UNICEF since 1988 and actively support causes that seek solutions to childhood hunger and illiteracy. Most recently, for their significant contributions to the development of children's music, the Trio were appointed to the Order of Canada. But to the many generations of families across North America that have shared their 36-year journey, Sharon, Lois & Bram will always be the music-makers who invite everyone, babies to grand folks, to be part of the music, to sing and be joyful together."